Massage feels good, of course, but there are other benefits to it, too. Massage directly reduces restrictions, increasing muscle tissue function. Mechanical benefits and reflex responses combine to help the muscular soft tissues respond with circulation improvement and elimination of byproducts. Clients who receive massage therapy report a variety of sensations, emotions, feelings and mental perceptions that are subjective, difficult to measure and unique to every individual. Massage can encourage lymphatic flow, preventing edema (swelling) that often occurs with inactivity. Massage can help loosen scar tissue. Massage can prevent scarring to some degree by not allowing stagnation of tissue edema following injury. Massage can improve muscle tone and helps prevent or delay muscular atrophy as a result of forced inactivity. Massage may have a sedative, stimulating or even exhaustive effect on the nervous system, depending on the type and length of the treatment. Massage stimulates receptors in the skin and muscles, bringing new awareness to areas that feel cut off by chronic tension patterns. Massage promotes deep relaxation and stress reduction. With the relief of tension and stress, the client feels better able to cope with daily situations. Massage increases greater joint flexibility and range of motion. Massage provides healthier better – nourished skin by removing dry or dead skin and allowing new tissue to form. Massage can relieve mental and physical fatigue. The science grades to effects on the circulatory and lympthatic system, mechanical and reflexive.” Mechanical effects are the direct physical effects of the massage techniques on the tissues being manipulated. Reflective effects are indirect responses to touch that effect body functions and tissues throughout the nervous or energy systems of the body” (Milady’s, page 248, 1988). Assists the heart by “pushing” blood back to the heart. Assist the lymphatic system by pushing lymph back to the heart. Supports delivery and pick up of the substances on its way from and to the heart by temporarily increasing the blood flow to an area. 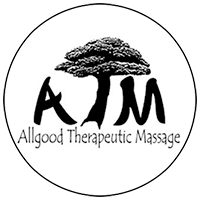 Affects the nervous system because vaso-motor nerves respond to massage by relaxing or constricting vessels to direct the blood flow (milady’s, 1988). Indirectly affects organs via the nervous system. Creates a temporary increase in blood in an area. This provides the opportunity for greater exchange of nutrients and waste products, which greatly supports tissue health and healing. “An Ohio University study of heart disease in the 1970s was conducted by feeding quite toxic, high cholesterol diets to rabbits in order to block their arteries. Consistent results began to appear in all the rabbit groups except for one, which strangely displayed 60% fewer symptoms. Nothing in the rabbits physiology could account for the high tolerance to the diet until it was discovered by accident that the student who was in charge of feed and these particular rabbits like to fondle and pet them.